Welcome to 2019’s very first edition of What’s New. We’ve been busy preparing these shiny new updates to help simplify workflow processes in Hike. This update has many new exciting features ranging from platform updates to existing workflow improvements to integrations. So take a moment, kick up your feet, and get comfortable—we’re about to get started! Accept bulk payments using integrated card terminals. Do not print discount line on receipt if there is 0 (no) discount. We’re thrilled to announce our newest partnership with the Westpac Bank in Australia , providing Australian retailers a world-class payments option linked directly to their point-of-sale. Retail businesses in Australia will be able to use Westpac Bank’s payment solutions with Hike on their iPad, Mac or PC to accept payments and make sales on-the-go, and automatically sync their payment data to eliminate manual errors. Hike’s all-in-one retail management platform now integrates with Amazon, allowing retailers to easily manage their Amazon listings, customers, and inventory from the same platform as their existing sales channels. We’re extremely pleased to offer the Amazon Marketplace integration as a built-in solution. And so, as a Hike retailer, you won’t have to pay anything additional to connect your Amazon Marketplace account with Hike. Create all of your Amazon listings in Hike. Register your products in Hike to the Amazon catalog in minutes. No need for spread sheets. Set rules for region, pricing and inventory, ensuring your products appear where and how you want them to. Control what’s sold on the marketplace and how many are sold, Hike even allows you to create buffers to help you avoid fulfillment headaches. 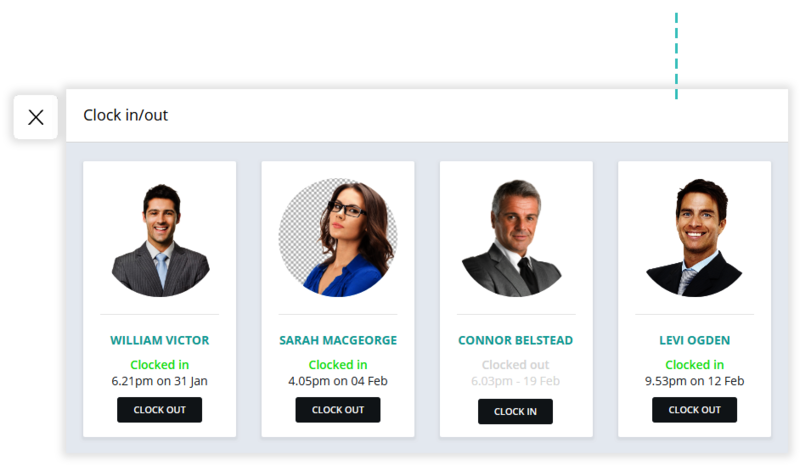 your employees can now clock in and out directly from the Hike point of sale register. You can access and review your employees’ timesheets from Hike reports within User reports section. To clock in or out, your employees can tap on a clock icon on top right (header) section of your Hike app on web and iPad. This will show employees list with their current clock in/out status. For each employee, a clock in or out button is also shown depending on their current status. 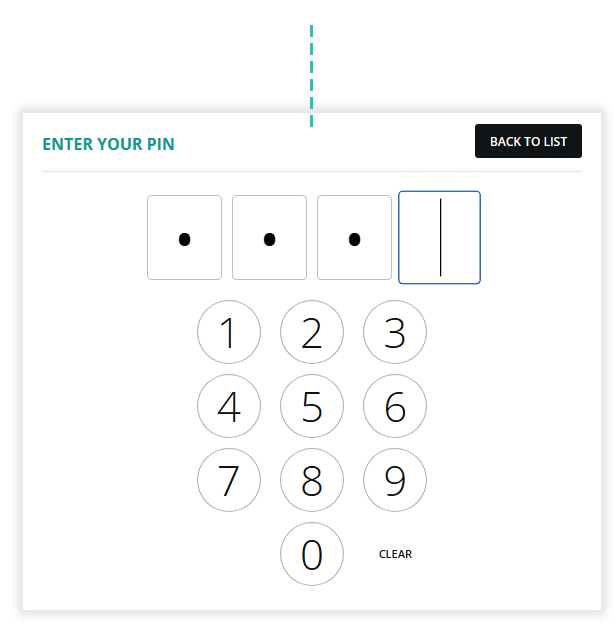 Once an employee has entered a correct 4-digit passcode, Hike will Clock them in/out. For clocked in employees, Hike will show a green dot icon on their user profile picture in the header section. Similarly, clicking on the clock icon shows all users in your organisation with their current clock in/out status so you can easily see who’s currently clocked and what time they started. This also helps your employees know who else is in today in case if they need to reach out. Access your employees’ timesheet reports from your Hike app’s reports & analytics section under User reports. Printed label preferences are not something you’d change frequently. So, what’s the point of having to specify it each time you go to print a label? None. 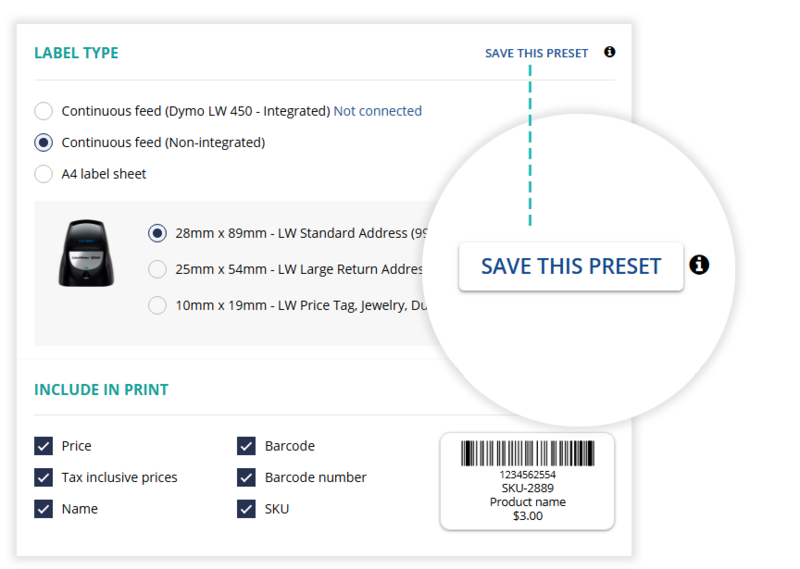 Now, with ‘Save this preset’ option, Hike will remember your label printing preferences. Once saved, the system will remember almost everything including label type, size and details you’d like to include to print. Your saved settings will be there when you visit the labels print page next time. The Save preset option button will show only if you make any changes to your current preferences. Until now, a single receipt template was applied to all Completed, Parked and Layby sales. Now, you can use a separate receipt template for each of these sale types. 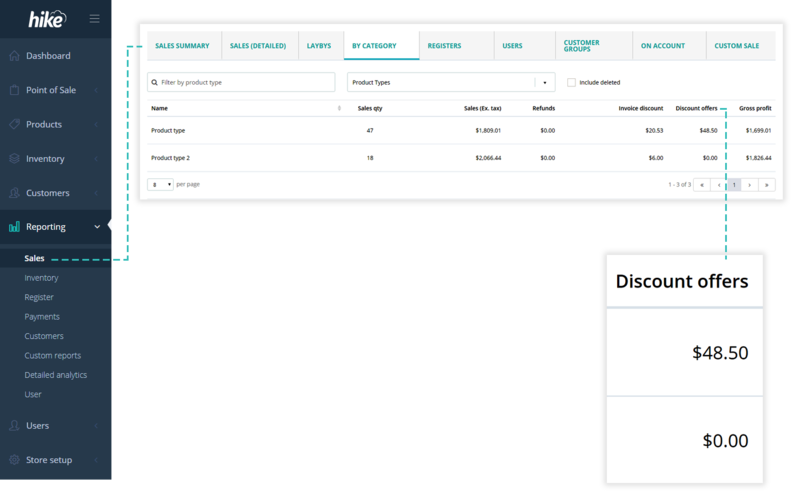 Create a new template for parked sales receipt with header texts ‘Draft’ or ‘Quote’ depending on your sales process. 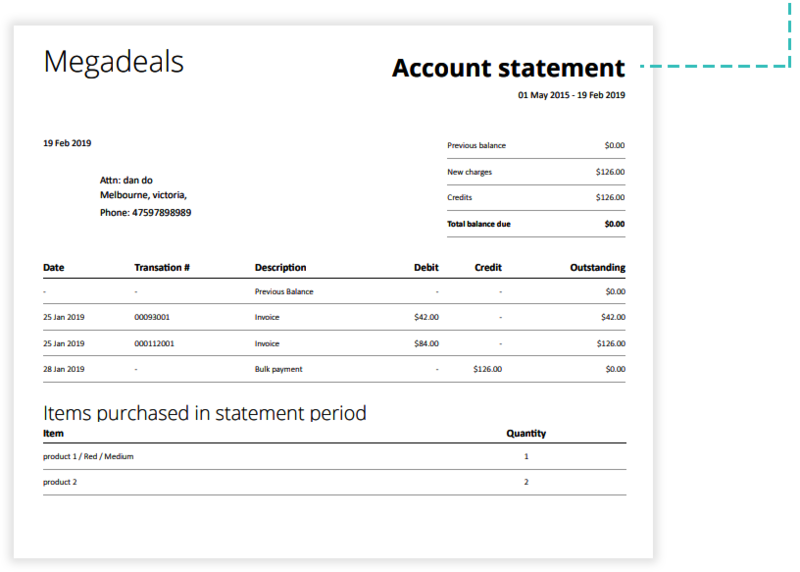 Click on ‘+ Add receipt template’ and specify receipt template type, create your template and save. 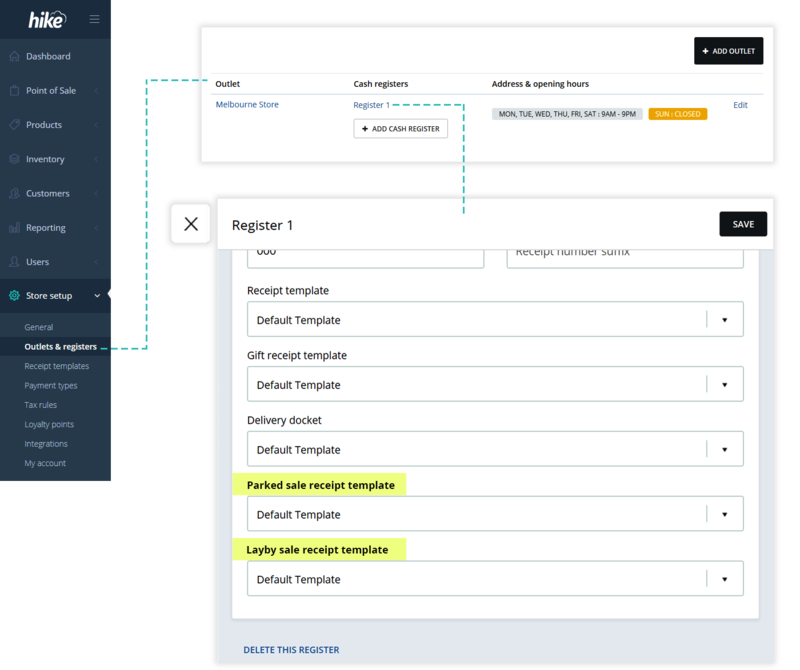 If no specialised templates for Parked and Layby sales are used, Hike will automatically apply your standard receipt template for these sale types. We’re always in try to bring you the data analytics that help you in making useful decisions. Sometimes small changes to the data can make a big difference. Now,with an option to view your sales reports with and without parked orders will provide you a great insight into total sales processed vs net finalised sales volume. 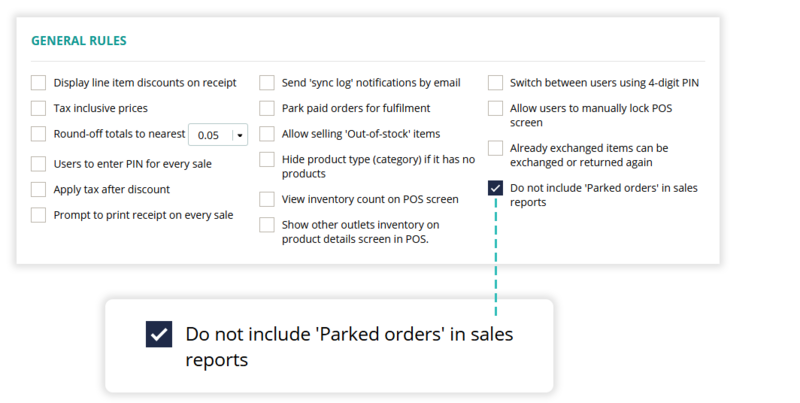 To switch the parked sales in sales reports on or off, please go to Store setup > General settings > General rules and click on/off ‘Do not include ‘Parked orders’ in sales reports. Please note: if a Parked order is partially paid, the payment portion will still appear in a daily register summary even if the parked orders are omitted from sales reports. Obviously, ‘All users’ mean no restrictions and ‘Admins & managers’ mean that Cashier users will not receive low inventory notifications and the first option as the name says, only Admins will get inventory notifications. Now you can refund & void partially paid backorders in Hike. Maintain a proper trail of deposits, refunds and order cancellations. To refund a backorder, go to Sales history, click on order item. This will bring up the order details view. 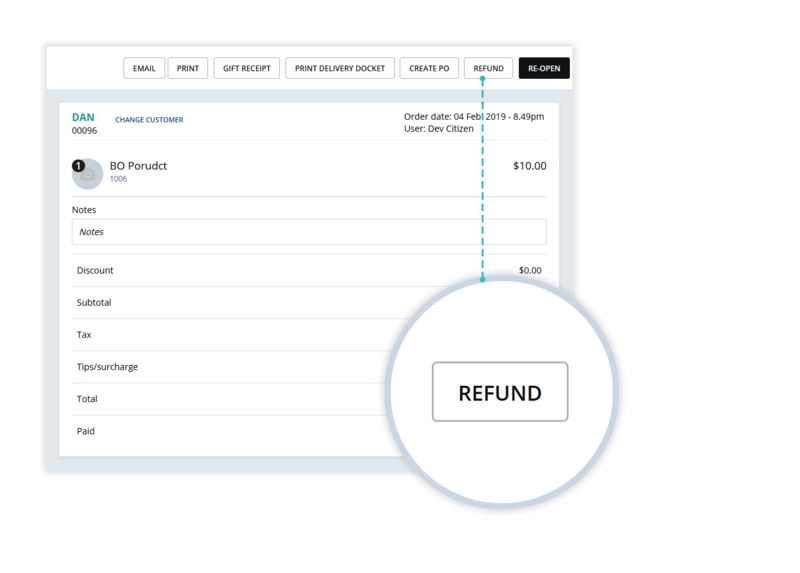 Click on ‘Refund’ button, located within the header section of the order view, to fully refund the order deposit. To refund a layby, go to Sales history, click on order item. This will bring up the order details view. Click on ‘Refund’ button, located within the header section of the order view, to fully refund the order deposit. 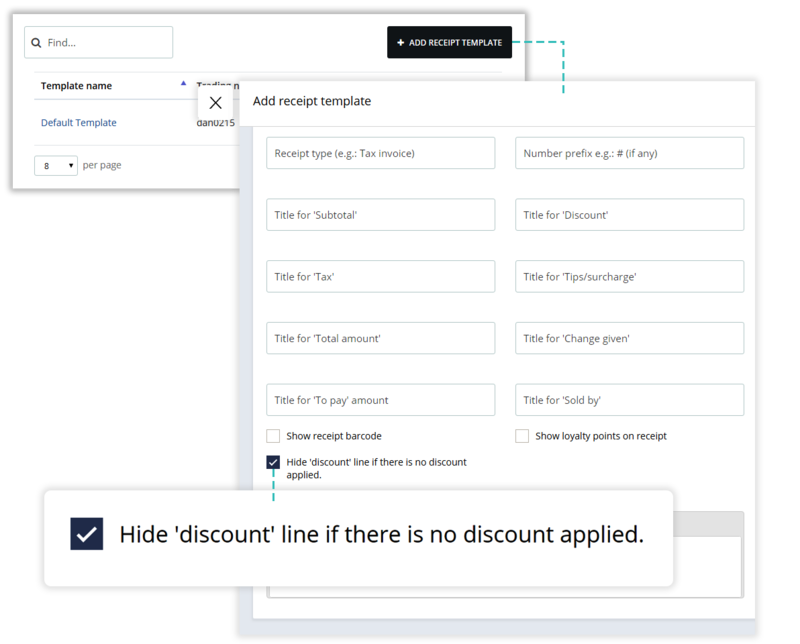 A new feature is added to sale receipt templates. You can simply check a box to print discount line on a receipt only when there is a discount applied to a sale. Hike supports ‘On account’ sales and lets you accept bulk payment using Cash and non-integrated card devices. With this update, you can now also accept card payments using integrated card terminals. 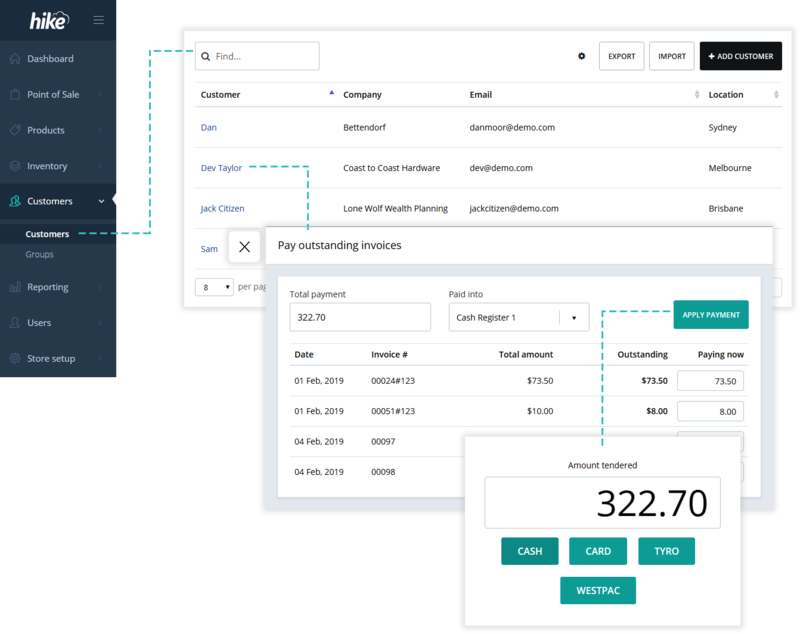 To receive a bulk payment or in other words, accept payment towards multiple outstanding invoices at once, navigate to the customers’ list. Now click on customer’s name to view customer details. Click to pay outstanding invoices and enter total amount. Confirm the amount distribution towards outstanding invoices. Once all look good, click on apply payment, select a payment method and finalise payment. Shopify now supports multiple locations, which is a great news. For Hike users, we’ve made it even sweater with multi-outlet integration with Shopify! 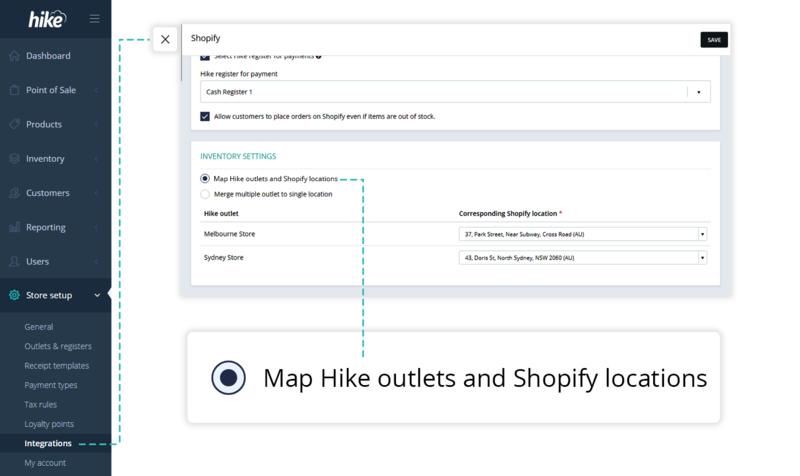 If you’ve multiple locations in Shopify, you can map each location against your outlets in Hike. This way, your virtual location inventories and products in Shopify are correctly mapped against actual fulfilment centres (retail stores) you have in Hike. Once 1 to 1 location is activated, your online orders will be sent to the Hike outlet relevant to the Shopify location that received an order. Inventory deductions and updates are also linked in the similar fashion. which may help you improve your online sales. Now Hike lets you link all your location inventory to a single Shopify location. A ‘Cool Indigo Shirt’ product is stocked at all your outlets and you also sell it on your Shopify website. Currently one of your outlet is linked as a source outlet for Shopify which has run out of the shirt. So, your current integration will show the productas out of stock on Shopify. 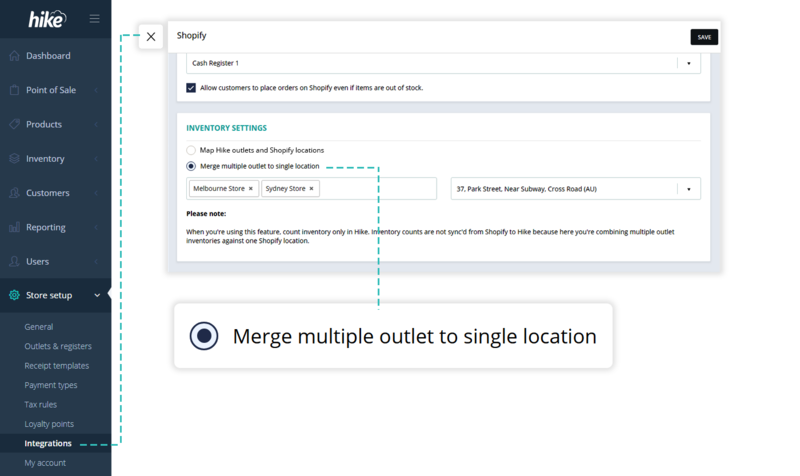 However, with Many to One inventory setup for Shopify integration, Hike will show on Shopify the total inventory across all outlets. Your source outlet can still be the same. What’s different is that your integration now knows that you can do the inventory transfer between stores so it will accept online orders as long as the item is available at one of your locations. You specify a source outlet for Shopify integration. This is the outlet which will communicate your products and orders with Shopify as it used to previously. 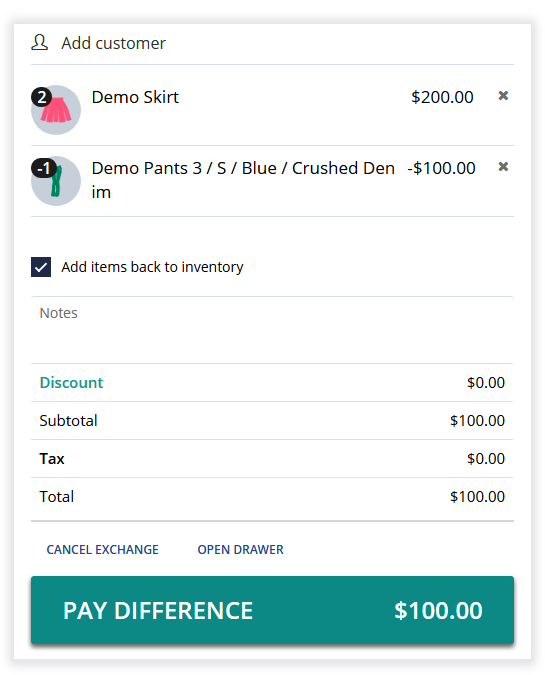 Inventory is always drawn from your source outlet in Hike so if it runs out of the item, the inventory will be overdrawn, and the total inventory count will be negative. You can then arrange to transfer inventory from one of your other outlets to the source outlet. In some cases, you may add the transfer in Hike but dispatch it directly to a customer from the other outletif it suits your workflow. An additional section added to the register closure summary report. Similar to the sales summary, the newly added tax summary includes break-down of taxes collected by rates and relevant sales amounts. 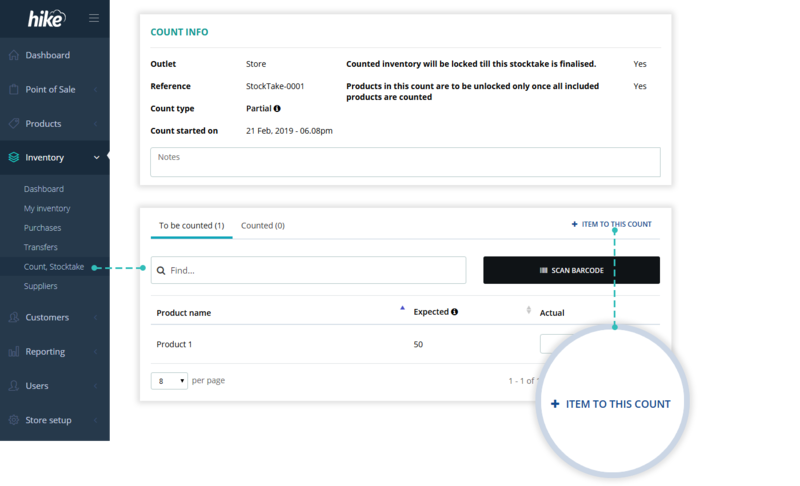 Now you can add more item/s to an existing partial inventory count as long as the count is not yet complete. Click on a ‘+ item to this count’ located above the count list. This will slide open a window where you can search and select items that are not already a part of the count. When reviewing your total sales by product type, get to know the total discounts you offered on each product type. This will help you gain a very useful insight into if and how offer discounts are impacting your sales targets. This will also help you analyse if discounts are more or less effective with any particular product types. 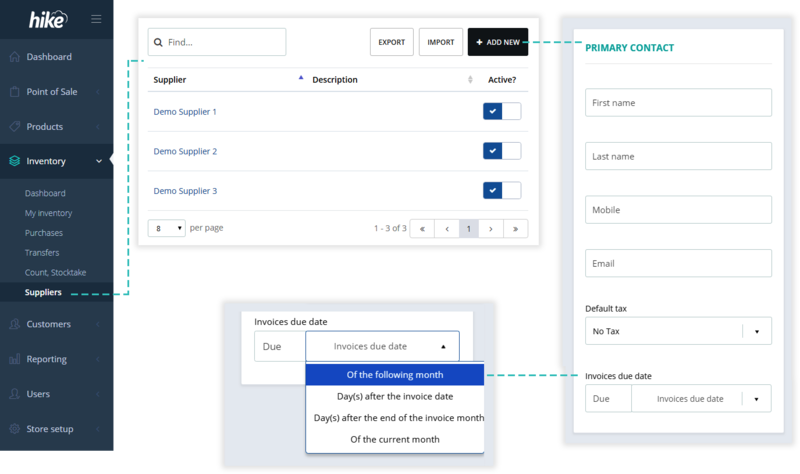 Now you can set invoice due date term in supplier profiles. 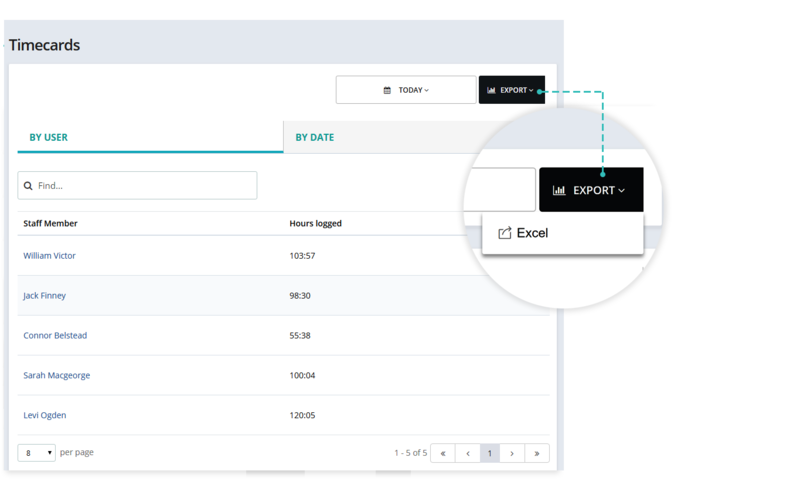 The due date is then automatically applied when a supplier’s purchase order is sync’d to Xero accounting software. ‘30-days after the invoice date’ is applied as a default payment term for all existing profiles. Go to Suppliers and tap on a supplier name to edit these terms. 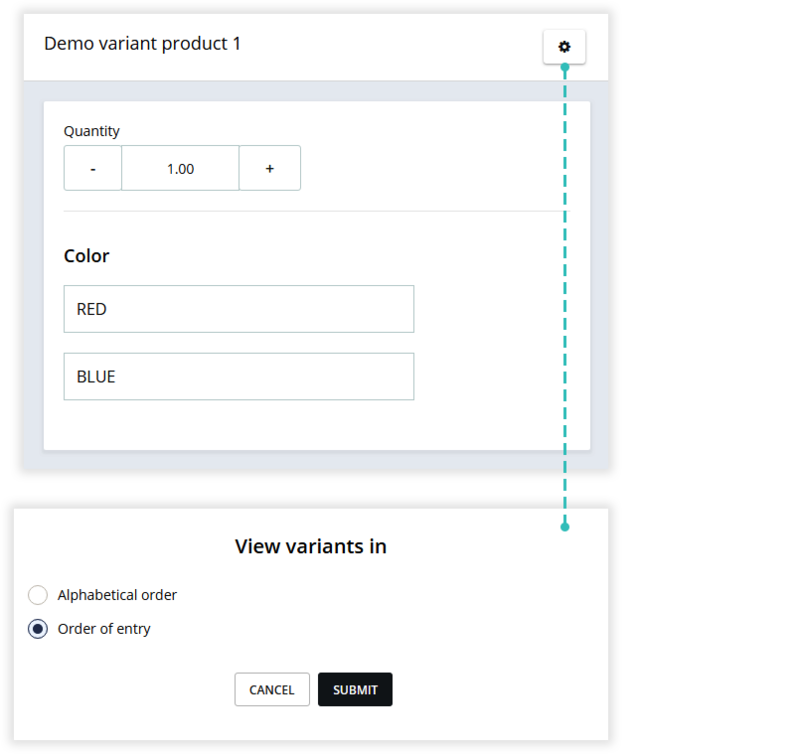 The ‘copy to all’ option for variants on a product details page comes in handy when making a same update across all variants. 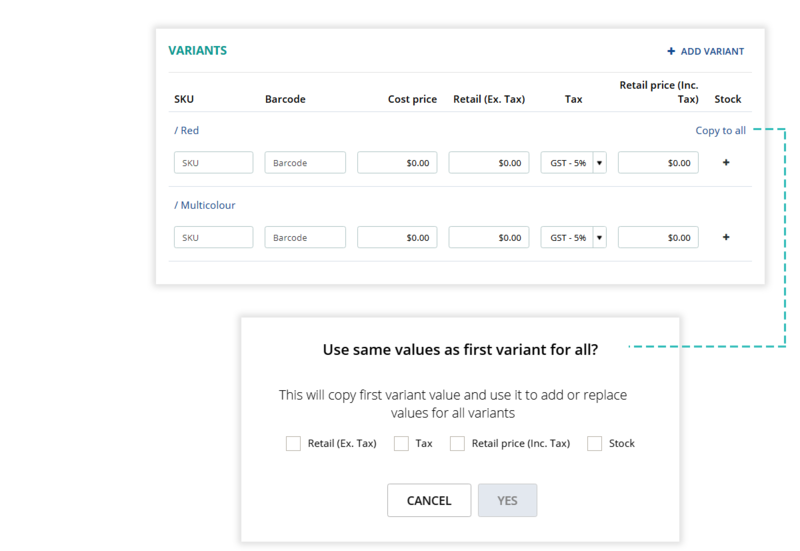 This option allows you to make changes to a first variant and copy the change to all variants. We’ve made a slight yet mighty improvement to this feature which now allows you to select exactly which change/s you want to copy and paste to other variants. The selectable options include Retail ex. Tax price, Retail inc. tax price, tax value and stock (inventory). A new ‘Accounts receivable statements’ report is added for ‘on account’ sales and outstanding account statement. As the name suggests, this report will show on account sales and payments received for a selected date range. You can also filter out customers with no outstanding balance and/or no activity during the selected period. Further, you can filter the results by selecting customer group/s. You can also enter minimum outstanding amount threshold to exclude low balance accounts from the list. Once all the relevant filters are applied, a list will be generated with customer names, contact details and outstanding balances. This can easily be used as an on-screen follow-up call list. 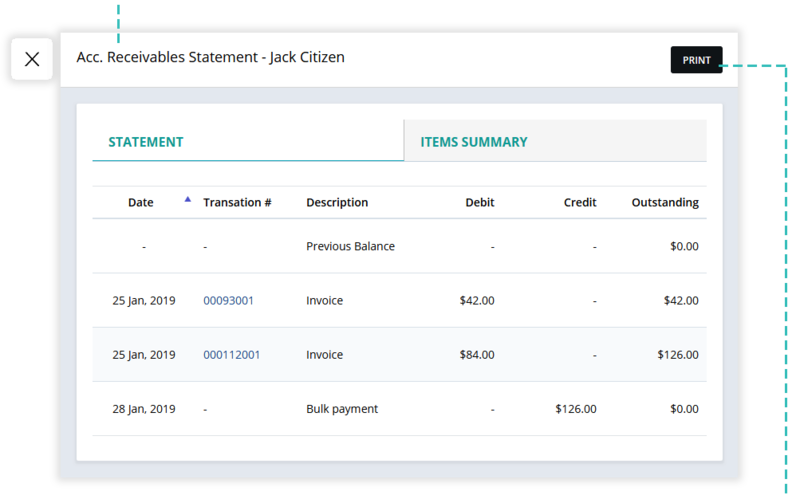 Click on anywhere in the list to view that customer’s itemized statement. The details include all the purchases and payment transactions for a selected data range period. You can select and send all statements to print at once. An A4 sized printed statement will be generated for each customer. The statements are readily designed to be used with windowed envelopes. Hike now supports Kwacha as a currency and time-zone settings for Zambia. You’ll be able to specify if you’d like to send customer’s Marketing preference as a column in customer list with preference mentioned as ‘Yes’ or ‘No’ for each customer line item. If a customer’s preference is no, you can choose to automatically ‘unsubscribe’ that customer from your Mailchimp mailing list. A small yet useful feature is added on sales screen. For a variant product, now you can specify if you’d like to list all the variants in alphabetical order. The default selected sorting order is ‘order of entry’ which displays variants in the same order as they were entered in at the time of creating a product. 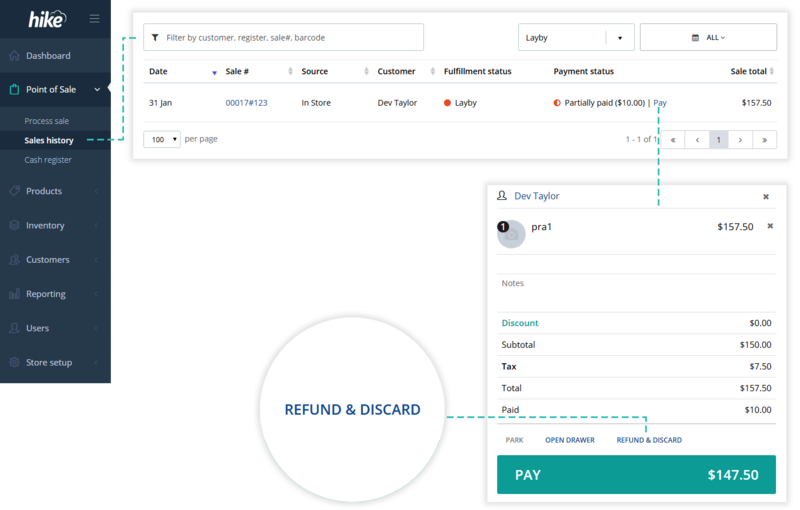 Hike already supports returns & refunds. Now you can also allow your customers to exchange products. Workflow for processing an exchange is very similar to processing a return. To process an exchange, tap on ‘Exchange’ button available on every sale transaction in sales summary list. This will re-open the sale in ‘exchange’ mode. All the items in that sale are now displayed with negative quantity. 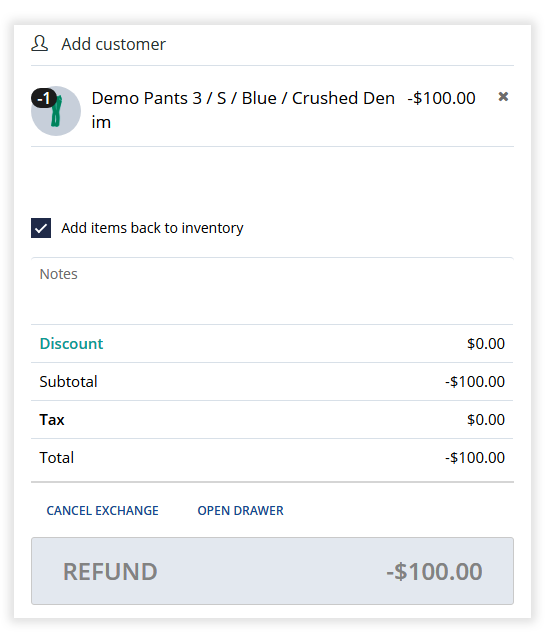 Only keep the items and quantity that a customer is returning. Now search, scan or tap to select an item that customer wishes to buy in exchange. Hike will calculate the difference in amounts and prompt to process a payment or refund accordingly. In an original sale, it will log exchange summary with details of the items exchanged and corresponding exchange transaction invoice number details. You can define a rule regarding subsequent exchange in general settings. Here you can specify if an exchanged item can be exchanged again or not.